Every class is a little different from the last. 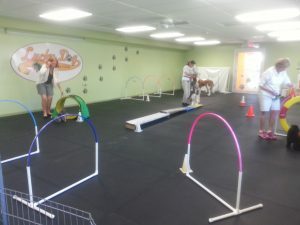 Fido Fun and Games is perfect for dogs of all ages and abilities. 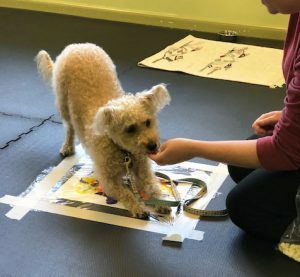 In this class you and your dog will play games and learn fun, easy skills while doing activities such as sniffing games (find the treat), learning different tricks, creating an art masterpiece (that your dog makes without getting messy! ), doggie dancing (no rhythm required! 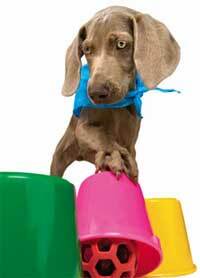 ), dog agility (for the couch potato and wild child alike), and so much more! The instructor will be teaching different skills and games on different weeks and they have some really great fun planned for you! This is the class that you’ve been waiting for. Don’t wait to register or you’ll miss it. This fun indoor class is an hour per week. Let the games begin! NEW! 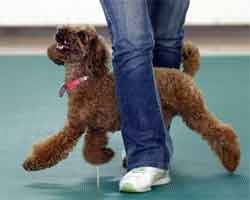 After taking this class you can test for the AKC Novice Trick Dog title! Can’t do the full class? If there is room (not a full class or someone will be absent) you can do single class drop-ins for $25.00 per class. Prerequisite: Your dog must be friendly or not care about other dogs and people, and be under control around other dogs. Build skills, teamwork and eager performance so that you get better listening skills from your dog everyday. Improve your dog’s attention and focus so they can become better behaved. 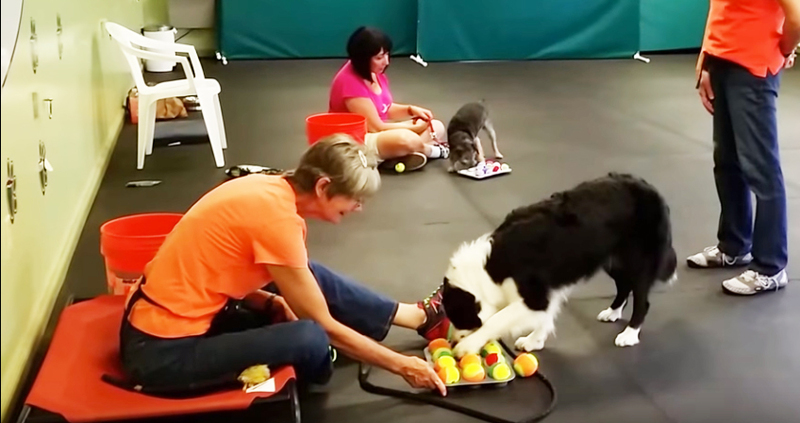 Learn some new skills that you can do and play at home whether you have a high energy dog or a couch potato. Games motivate both dogs and owners to interact and create fun. When you share fun, your dog wants to pay attention to you. How do you like this dance step? Create a dog that loves training and that lives to learn. This translates into a dog that is easier to train so that you enjoy your dog more. Beat the heat! This class is held indoors. I’m painting (without getting my fur messy!) I wonder if mom will frame it.